Trendy Hairstyle Ideas for Fine Hair. If you're tired of finding your fine hair impossible to style, make sure you opt for a hairstyle that matches perfectly your natural hair texture. Check out the following trendy hairstyles for fine hair and inspire yourself for your next fabulous look! Women with fine, thin hair usually confront themselves with the impossibility to build texture and inject volume into their hairstyle and the locks just seem to fall flat. But fear not, the new hair cutting techniques developed enable you to opt for hairstyles which will add the much needed boost to fine locks. In addition to opting for a flattering hairstyle for fine hair, you also need to reach out for volumizing hair products as they are especially designed to add that extra volume that your locks are lacking. The buzzword is 'layers', so in order to ensure your fine hair looks amazing, you need to incorporate the right type of layers in as they help remove some of the hair's weight. Fine hair and long hairstyles don't exactly make the best combo of all, but if this is a hair length that appeals to you most and you're just not willing to opt for a shorter crop, make sure you opt for hair layers. 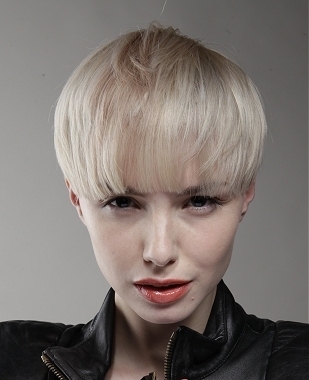 You can go for short as well as long layers as they will help give the hair much more volume. Due to its length, the hair will tend to become flat under its weight, so the layers will help you get that extra touch of volume your hair needs to look glamorous. Use a round brush to blow-dry your hair and style the ends slightly outwards as this will create the illusion of richer hair. Try to avoid keeping your hair sleek straight and experiment with curly or wavy hair textures as they will bulk up your fine hair. One of the most popular lengths of the moment is the medium length and women are going crazy over it. In addition to being uber-popular, a medium length hairstyle can do wonders for your fine, flat hair, so experiment with a shoulder length or a cute bob hairstyle, depending on personal preference. 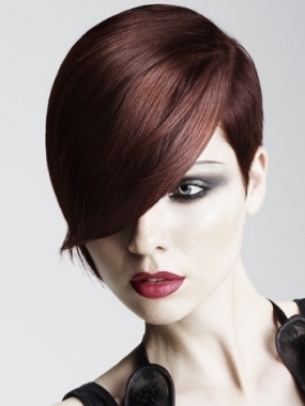 Bob hairstyles are highly popular and an inverted bob haircut will add great shape to your locks. Layers are again a must, when it comes to medium length fine hairstyles as they will boost your hair volume and make it more manageable. Floss out the sides of your hair to create volume and texture or keep it simply sleek, but only after teasing the roots. Cute crops look amazing and have met a high demand from women who love to make a statement through their look. Short hairstyles suit best women with petite faces and delicate features, so if you pertain to this category, short crops could be a perfect option for you. Crops don't have to look masculine - a sleek layered, almost grown-out crop exudes femininity and style, so search for one that suits your style best. Keep the length of your hair slightly longer at the front and top to ensure your crop benefits from versatility in styling. This way you'll be able to sport your hair straight, quiffed or textured, looks which will definitely make you stand out from the crowd.